Scroll down to find out what kind of projects we did in Temecula and the nearby area lately! 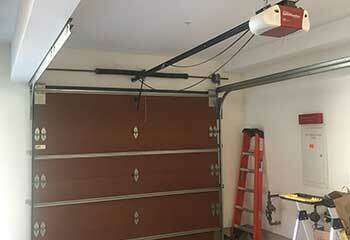 When it comes to your garage door, you can always count on our company. Customer Issue: The older opener the customer had was on its last leg and he wanted to invest in a new unit before the old one broke down completely. Our Solution: After showing Mr. Howardson a few different options and explaining the pros and cons of each one, he decided to choose the LiftMaster 3240 screw drive opener, due to its fast opening speed and relatively low maintenance requirements. Our team removed the old opener and installed the new unit, making sure to perform the necessary safety and functionality tests afterward. Our Solution: After explaining the difference between types of rollers, the customer agreed putting nylon ones instead of the existing steel ones, was a better solution. So, we finished the replacement and double checked the rest of the system to make sure it was properly functioning. 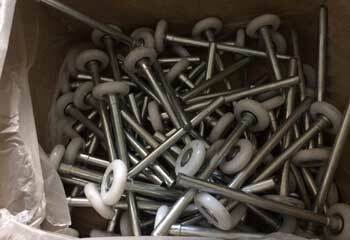 Our Solution: It was clear to us that this customer’s springs was about to break. 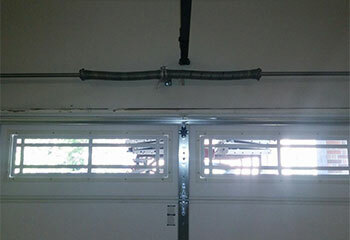 We replaced both extension springs with a set of much stronger and safer torsion springs, and now their door is considerably safer than before. 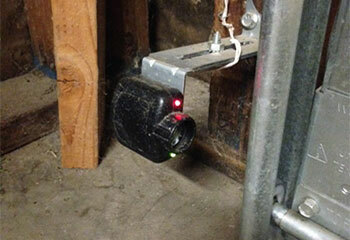 Our Solution: This customer’s safety sensors had gotten misaligned and weren’t allowing the door to close. We identified the issue and realigned her sensors. Now her door is both safe and functional. 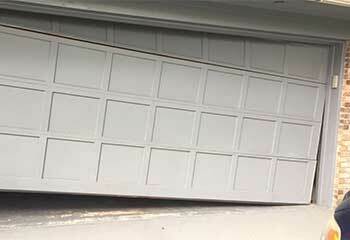 Customer Issue: Misaligned Garage Door. Our Solution: This customer’s door slid off track and wouldn’t run smoothly. Our team was able to disconnect the door and realign it with the track, putting it back to use straight away. We tested it repeatedly to make sure the problem was completely solved. You can count on our technicians to tackle every issue. Get great deals on the best brands and products on the market. We will be there as fast as possible to handle the emergency. We are always at your service for any problem. Thank you for choosing Garage Door Repair Temecula! One of our experts will be in touch soon. Feel free to browse our website for FAQ, tips and more useful information in the meantime!